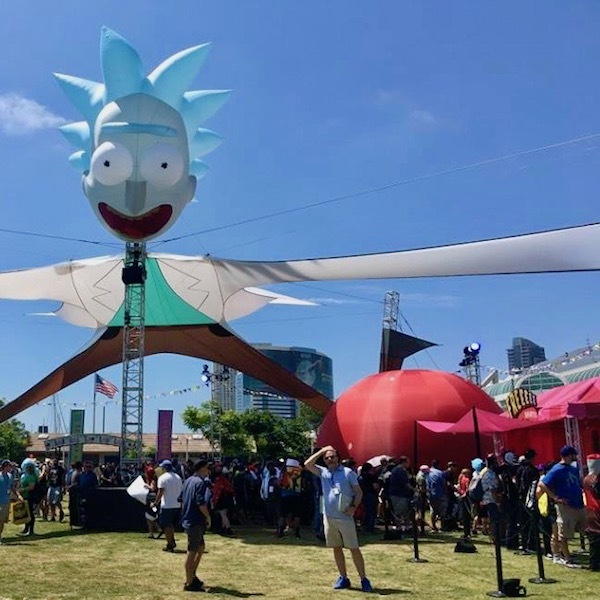 We were at Comic Con San Diego for [adult swim], the night-time programming block of the Cartoon Network. 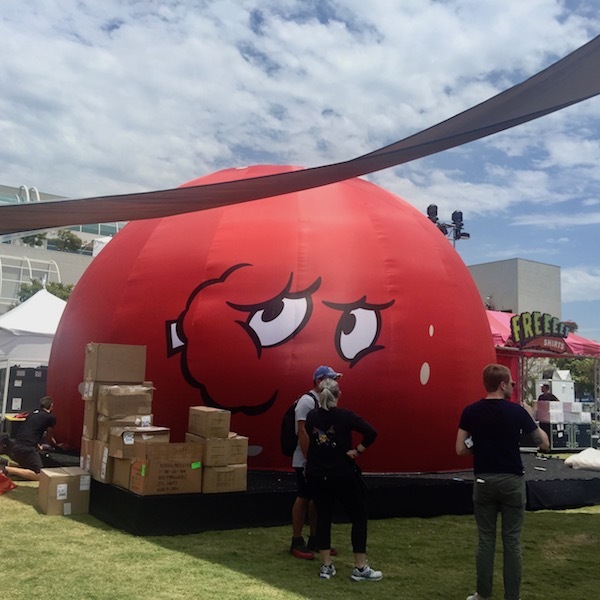 Our 8 meter dome was decorated with an external cover as Meatwad, a character from the show Aqua Teen Hunger Force (thats him on the right, above). Inside the dome was a psychedelic ride, created by the [as] team, with motion seating for full immersive effect. Between rides a specially created video with various animals licking the dome surface kept the audience entertained while people took their seats. Long lines formed outside the dome thought the event.